Few of us may have ever heard of Helichrysum flowers, let alone encountered the oil so, like me, you probably discovered it whilst doing research on natural or holistic treatments or heard about it from a friend. Either way, I’m very glad that you’ve stumbled upon this article as the Helichrysum flower is known for producing a remarkably potent essential oil that can be used to treat everything from inflammation, general pain, infection and fever to more serious ailments such as helping to regenerate cells after chemotherapy. Unlike most natural or alternative medicines which often get ignored or shrugged off by the regulatory health boards, big pharmaceutical companies (albeit it a cliche’ term) and most doctors, Helichrysum oil is one of the few treatments that has actually been studied and investigated by modern science. Studies continue to develop and indicate that amongst other characteristics illustrated by the oil – the strong corticosteroid content of the Helichrysum oil made it highly effective in treating and relieving inflammation in our bodies. So for once you can be rest assured that the ancient beliefs and traditions that are usually associated with traditional or alternative medicines are actually closer to the truth in this case. I’ll be sure to explain more about how to use this rare and effective oil in the rest of the article. Pure Helichrysum oil is hard to come by and usually considered quite rare. Helichrysum is a flower that originated in the areas around the Mediterranean and the southern parts of Europe. Helichrysum flowers played an important role in ancient Greek culture as they were used as an offering to the Gods as well as to decorate the homes of royalty, especially during festive periods. 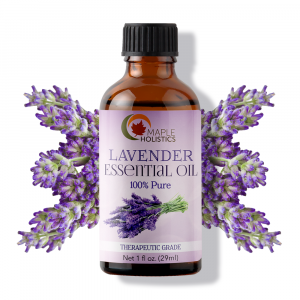 The flower, which is technically considered a herb, has been used as the ingredient in various essential oils and herbal extracts throughout history. 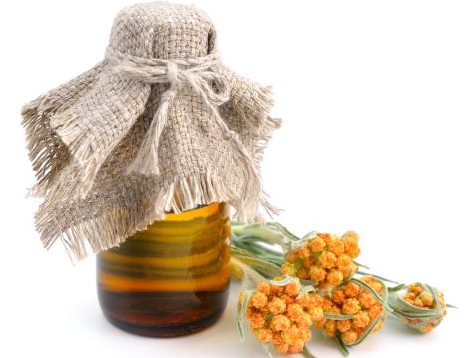 Pure Helichrysum oil is hard to come by and is usually considered quite rare. The oil is generally yellow in color and has a sweet, honeyed scent that is easily recognizable. However, unlike some essential oils that usually have a harsher, more distinguishable odor, Helichrysum oil blends well and can easily be mixed with similar floral oils such as Bergamot, Ylang Ylang and Jasmine for a truly divine aromatic experience. The most essential parts of the plant for the production of the oil are the stems and particularly the flowers. The preferred method for creating the oil is via a process known as steam distillation. In this method, the essential nutrients and phytochemicals are extracted through the evaporation process (steam is produced by boiling water, into which the flowers and stems are added) and become separated from the organic matter in a separate cooling chamber. In this chamber, the vapor containing all the vital elements of the raw organic matter condensate and form droplets which gather at the base of the chamber to form the final product as we know it – essential oil. 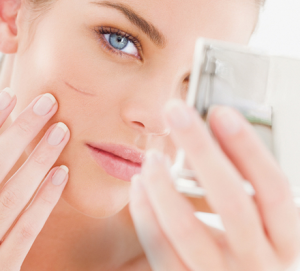 The oil’s natural cicatrisant properties specifically help treat scars. Helichrysum oil is widely used as a treatment for scars because it has powerful anticoagulant properties that allow the oil to thin your blood and prevent the formation of clots forming in your bloodstream. This means that the oil will increase blood flow and circulation, which ultimately means that the affected area can receive more nutrients and heal better and faster. This process is also aided by the oils natural cicatrisant properties, which means it can be used to specifically help treat scars formed by healing wounds, acne and stretch marks. The oil helps to stimulate and effectively increase cell growth, which means that the marks should fade with continued use. 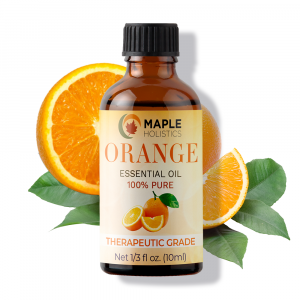 For maximum effect, I would recommend blending the oil with either Bergamot, Almond, Orange or Lavender oil (or even all of the above), as they share similar healing properties and also smell really great together. 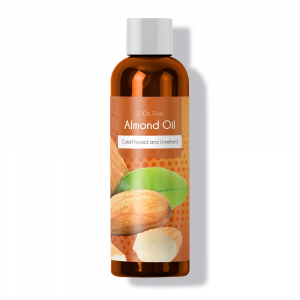 The oil can be applied easily to the surface of the skin and won’t cause any irritation as it’s considered a safe, non-toxic and non-irritant treatment. The oil’s analgesic properties help to relieve the pain that comes with being sunburned. The natural anti-inflammatory properties for which the oil is so well known really come into play when used to treat sunburn. As any doctor would say (and it’s my personal motto), prevention is always better than the cure. However, in those rare cases where we forget to apply sunscreen, or for those who have naturally sensitive skin types, Helichrysum oil can really help to soothe and heal your skin. Once applied, the oil immediately soothes and nourishes the surface of your skin, allowing your skin to begin healing itself. The analgesic properties of the oil also help to relieve the pain that we all know comes with being sunburned. Then finally, the anti-inflammatory compounds contained in the essential oil (comprised of natural corticosteroids and anti-inflammatory enzyme inhibitors) allow it to reduce the redness and sensitivity of the affected area. The best results will only come when the oil is applied regularly, so be sure to keep up the treatment until the skin seems fully healed. Also, blending the Helichrysum with either Eucalyptus oil or Aloe Vera gel is a good way to increase the effectiveness of the essential oil. 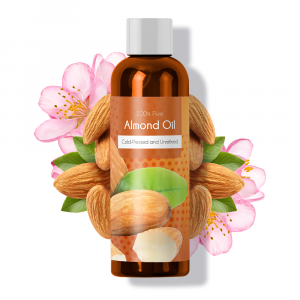 Not only is the oil great for more specific applications, but can also be very effective as a general skincare treatment. All of the aforementioned aspects of the oil make it great for treating and relieving the appearance of unsightly acne scars and pimples (anti-inflammatory properties and natural cicatrisant quality of the oil) as well as balancing your skins natural sebum oil levels. For people who have oily or combination skin types, maintaining a balanced level of oils on the surface of your skin is imperative for keeping a good complexion. Helichrysum oil works well as a natural skin toner and can be used with a clean cotton swab to wipe away excess levels of oil as well dead skin cells, which often clog our pores – leading to blemishes. It’s a mild oil, so it won’t irritate your skin, but has strong antiseptic and antibacterial properties, so it’ll be sure to keep your skin from getting infected or inflamed. Candida (or Candida Albicans) is a fungus that occurs naturally within the body. When the levels of Candida in your body are balanced (optimal) and your immune system is functioning properly, you shouldn’t experience any issues. In fact, the fungus actually aids the function of digestion in your body and can help with nutrient absorption. However, when the fungus over-produces itself (spreads), it can become malign and start to eat away at your intestinal lining and spread to your bloodstream from there. Once that happens, it starts to produce toxins that can spread to other parts of your body and cause infections in your urinary tract, brain lining and heart lining – at this point, it’s quite a serious infection and is linked to leaky gut syndrome. This illness is commonly caused by a weakened immune system which may be linked to the extensive use of antibiotics, cancer treatment (chemotherapy), diabetes and even birth control pills. However, the most common symptoms experienced by people suffering from a Candida infection are not always easily noticeable as being linked to this disease. These symptoms may include exhaustion, bad breath, sugar cravings, joint pains, recurring digestive issues (gas), recurring sinus/allergy issues and even a urinary-tract infection. 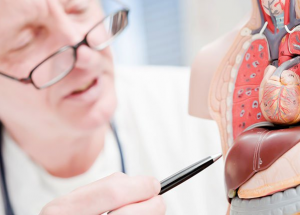 If you feel you might be suffering from this illness, it’s important that you consult a doctor before trying a natural treatment, as you won’t know the stage that the disease may be in when you begin your treatment. However, there are natural treatments that you can research to help treat and effectively cure your Candida infection. These range from intensive 2-3 day pure liquid diets to eating only organic vegetables along with cultured dairy products and lots of sauerkraut (a natural probiotic) to the use of essential oils. 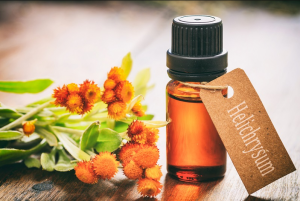 Helichrysum oil is quite effective on its own, but for this illness, it is best to use with coconut oil, lavender and oregano or helichrysum essential oil. These can be applied topically, but I’d recommend ingesting a tablespoon of coconut oil with 2-4 drops of each essential daily, along with the other treatment methods to really tackle the infection. The essential oils (as well as the coconut oil) can kill off the infection and slow the spread of the fungus, ultimately bringing it back down to a balanced level that your body can deal with. Including milk thistle into your treatment methods will only strengthen your body’s ability to diminish and reduce the level of the infection and bring it under control. And of course, don’t forget to include lots of Vitamin C in your diet to help strengthen your immune system. 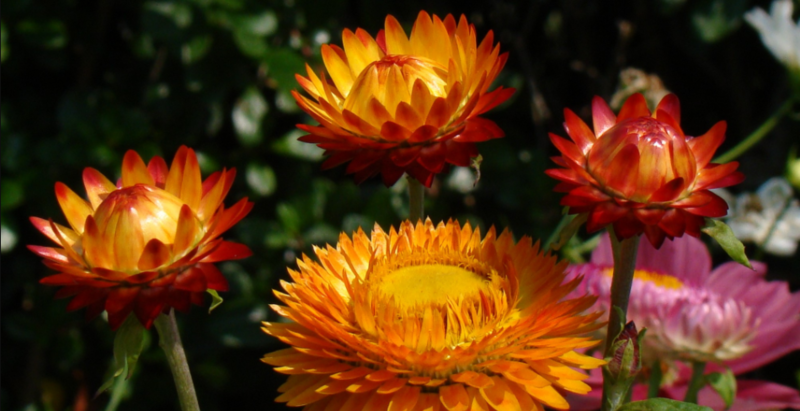 Helichrysum is considered a natural treatment for liver problems. Helichrysum has been considered a natural treatment for liver problems for a long time and has even been used to help treat kidney stones in the past. However, today they are more suitable for helping to prevent the formation of kidney stones by detoxifying the liver and kidneys. Personally, I would recommend that you get those treated with laser surgery as they can be incredibly painful. Simply add 2-3 drops of either lemon, grapefruit or orange oil to a glass of luke-warm water twice daily and take a milk thistle pill with each glass. Then rub some Helichrysum oil on your lower abdomen when you wake up and before you go to sleep – after you’ve showered of course. The Helichrysum oil helps to thin your blood and remove any traces of heavy-metals, air pollutants or other toxins from both your liver and kidneys, allowing them to stay well-regulated and healthy. The essential oil can be easily added to a tea (2-3 drops) or a glass of luke-warm water and consumed in order to help stimulate the release of gastric juices and enzymes that help to break down food in the stomach and allow the digestive process to work more efficiently. 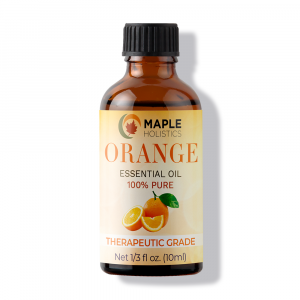 As I mentioned earlier, the oil can also help to balance the levels of Candida found in your digestive system, which will allow for better digestion and optimal nutrient absorption as well as relieving you of any gas you may be experiencing. Helichrysum is a rare and slightly more expensive essential because it’s not as readily available as other essential oils and it is generally used very specifically. 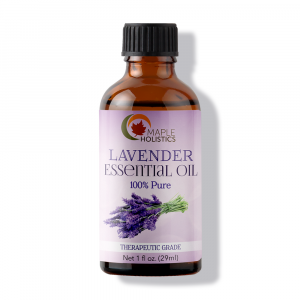 That being said, it is a definite must-have for anyone who is an avid collector of essential oils or natural products or even a serious tea-lover. The smell alone will convince you if the price doesn’t! However, in the case of a serious Candida infection or after a serious illness like cancer, restoring your body’s natural functions can be a challenging task – so you’ll need every tool at your disposal to get it right again. Going the natural route is definitely the better option as it leads to a more positive state of being overall than the chemically induced side-effects of most pharmaceutical supplements or treatments generally tend to leave you with. It’s ultimately cheaper too – because good health shouldn’t cost an arm and a leg!